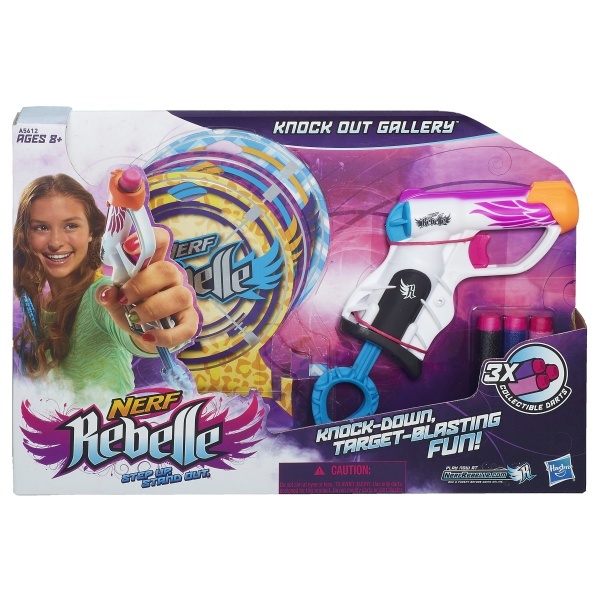 This is news to me, and I’ve never personally seen anyone online mention the Firestrike having this feature, until now. 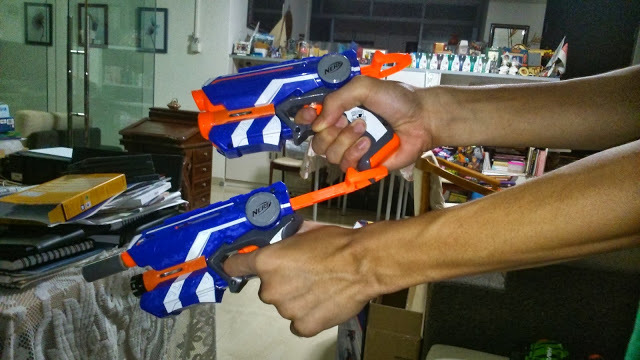 Thanks to Awesomely Nerf and a fan reader of his, they have recently discovered why the Firestrike has a nub/tab at the bottom of the handle. 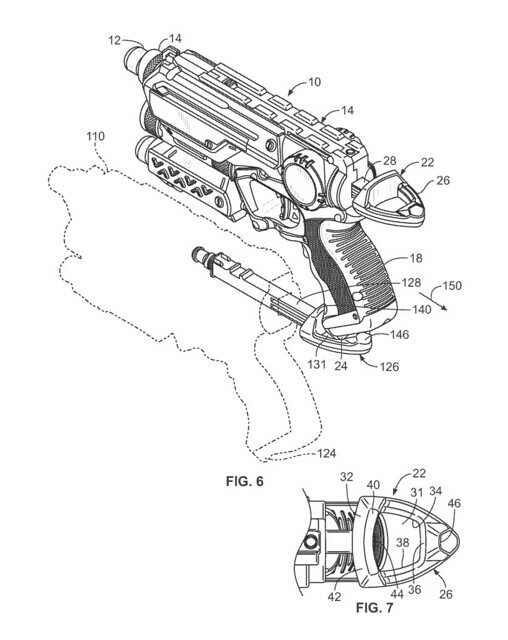 According to this Google Patent, the tab is actually meant to hook into another Firestrike in order to prime it more easily. 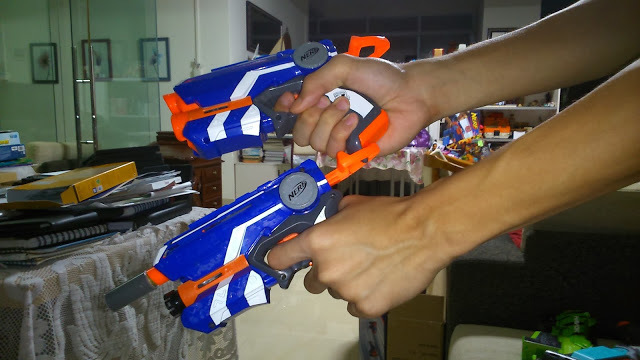 You can see it on the patent image above, in the Google Patent itself, or being done my Awesomely Nerf in his photos below. 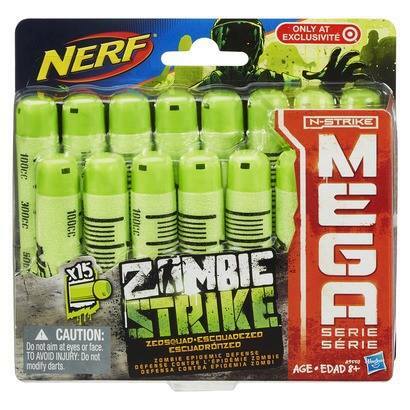 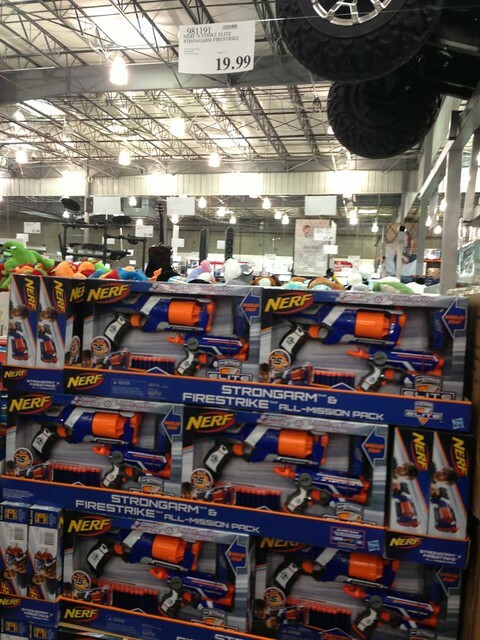 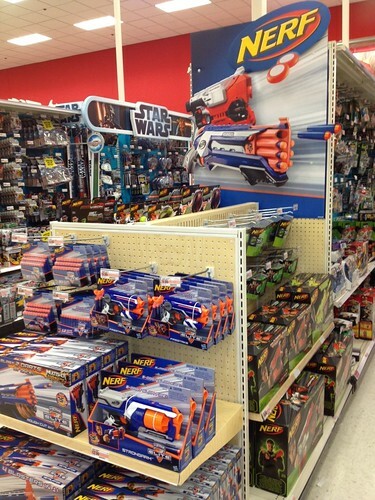 Thanks to Cooper648 of the Nerf Subreddit, were now aware of this what looks like Costco exclusive All-Mission Pack. 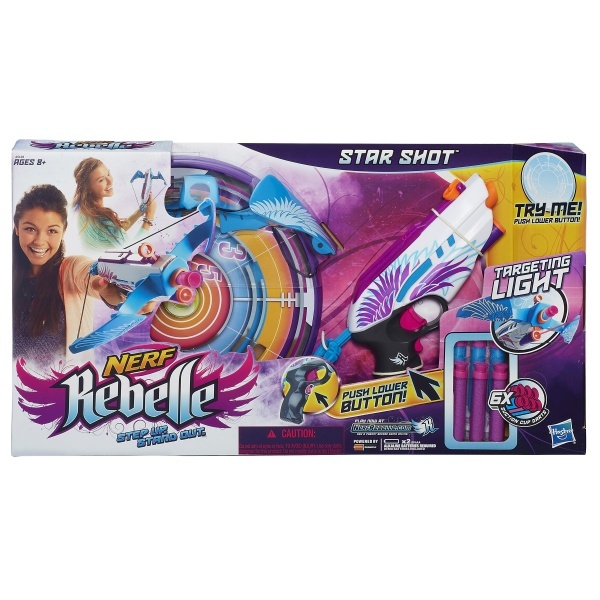 The poster also mentioned that it comes with the Bandolieer strap, but minus the clips/mags that usually come with that. 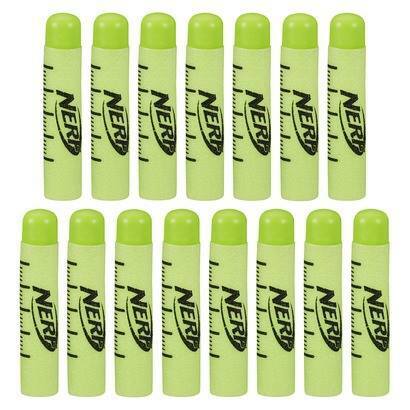 I count 24 darts in the box in the photo. 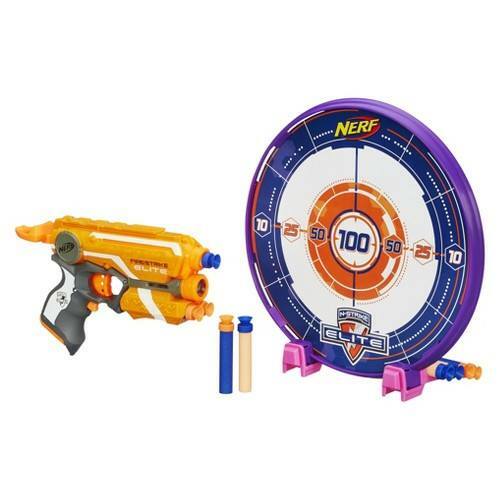 Seems like another solid deal for the new Nerfers out there. 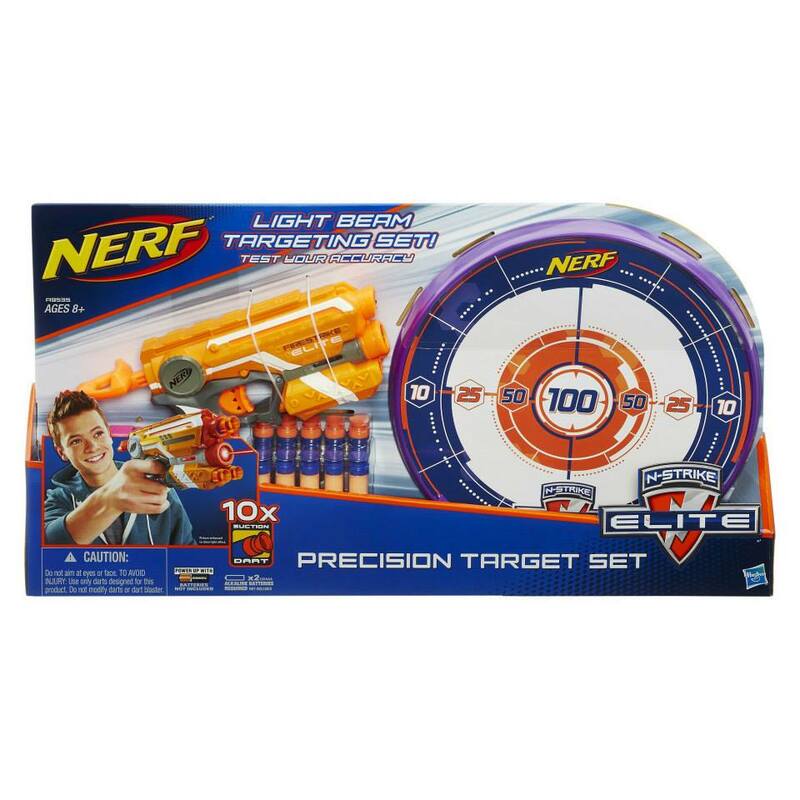 Watch the TV commercial for the new Nerf N-Strike Elite line of blasters featuring the Nerf Stryfe, Nerf Strongarm and the Nerf Firestrike. 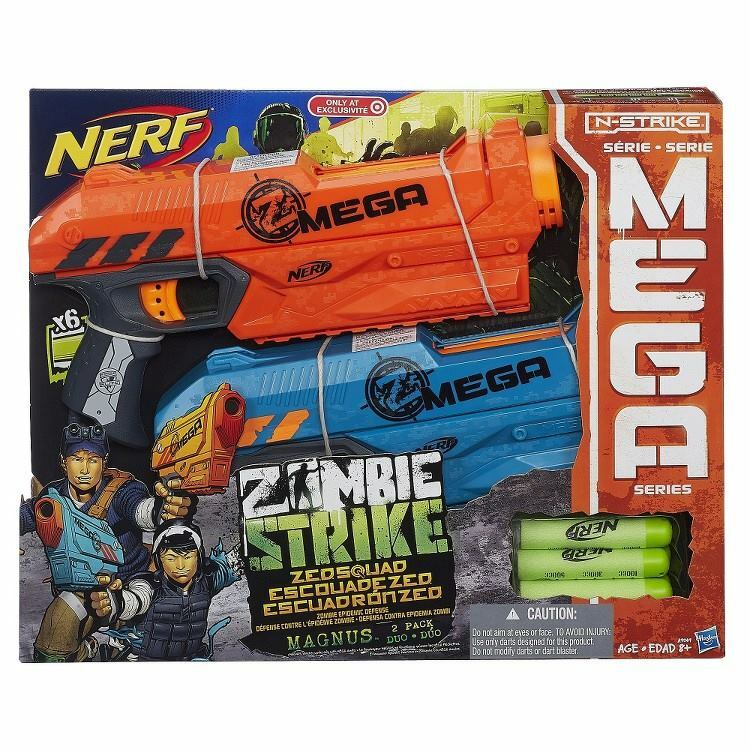 Although I haven’t gotten around to battle testing all these blasters yet, I can say that at the very least their all good products, and worth your money. 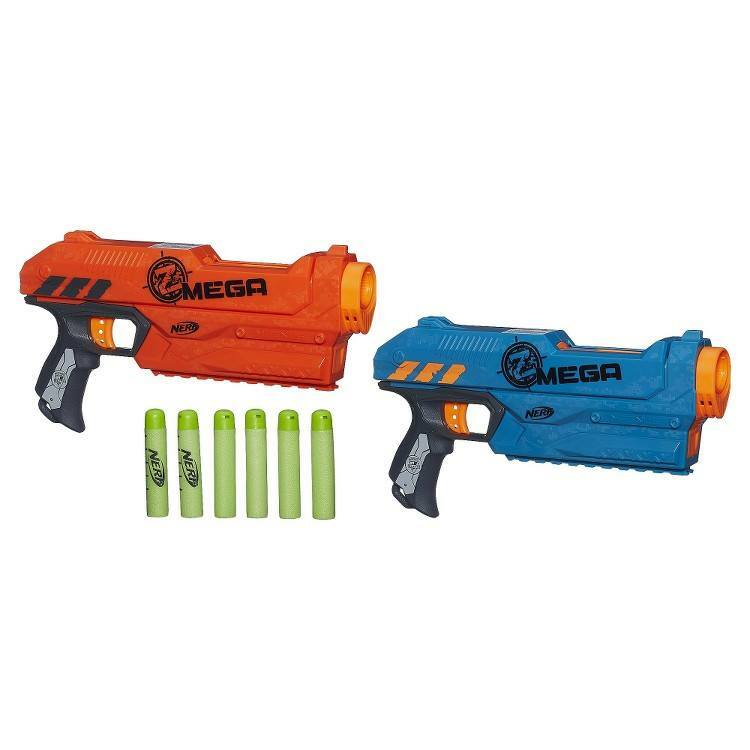 Look out for videos of me using these blasters in the future!